I’m grateful for all of you who have encouraged me in this art journey, so there is 20% off all orders through my Etsy shop using the coupon code FRIENDSOCT20 at checkout (all orders over $25.00). As you know, my paintings are already matted for you, all art prints are standard sizes, and every thing is made with love and care in the USA. Great time to stock up on greeting cards and gifts for the fast-approaching holidays. 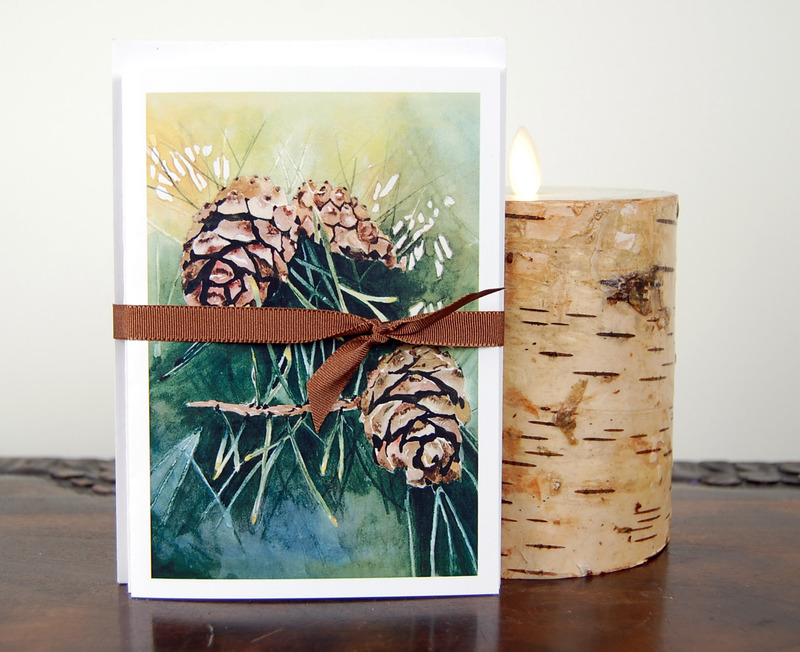 There’s a fresh batch of pinecone cards because you loved those and asked for more. My shop is always open here. Modern Calligraphy 101 ~November 4, Saturday 1-4 p.m.
Join us for an afternoon workshop at the Curtis Arts Center and learn modern calligraphy with a pointed pen and nib and traditional black ink calligraphy. This is the perfect combination for creating the thick and thin lines that are so distinctive in this trendy art form. There will be demonstrations of lettering and connecting letters to form words that you can use on invitations, announcements, and greeting cards. You’ll receive a packet of worksheets so you can continue your new art at home. Registration is here. 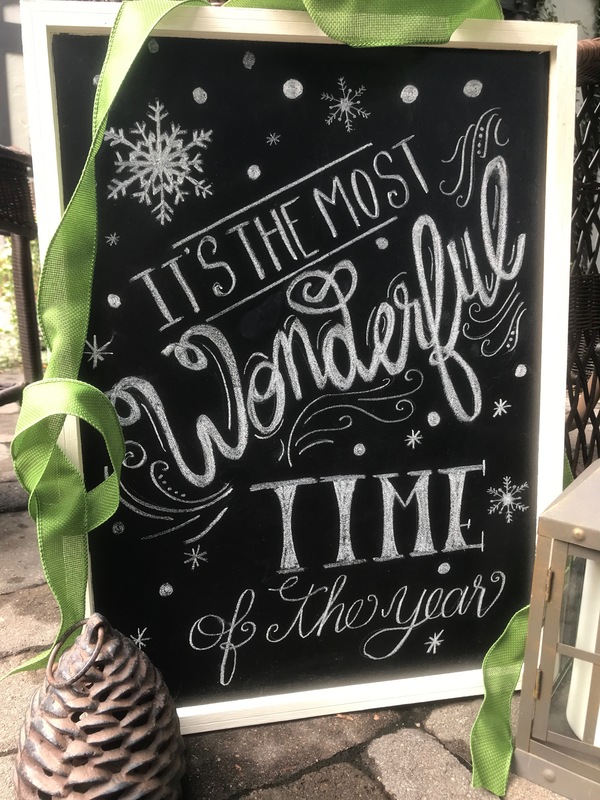 Chalkboard Art Workshop ~ November 8, Wednesday 6-8 p.m.
Come to Dwell Antiques & Home in Greenwood Village and learn how to design a holiday message in chalk art. All tips and tricks to make a successful project, and chalk with me step-by-step. November’s project will be full of charming snowflakes and scripted calligraphy fonts. Everyone can do it! Come with a friend for a fun night out AND private hours to start your holiday shopping (I’ve had my eye on gift ideas for really special people!). Register by calling Dwell at 303-795-3454. Fee is $45 for the workshop, the wine and yummies. $25. extra covers the complete kit with EVERY single thing you need for this project. Basic Watercolor Techniques and Loose Floral Designs ~ November 11, Saturday 10 a.m. – 3 p.m. 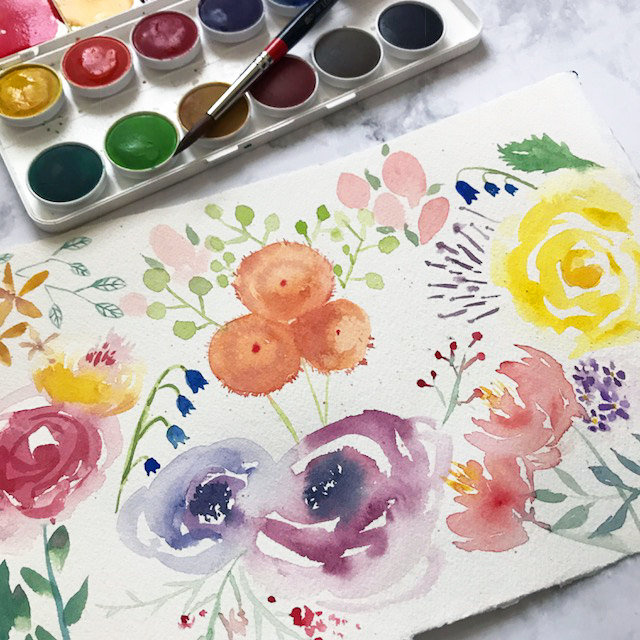 So many of you have asked for this introduction to watercolors workshop to learn the basics and then create these fun flowers that are all over greeting cards, art prints, calendars, and dinnerware. Come to Curtis Arts Center where you’ll learn about colors, paints and brushes, papers and palettes, and have fun doing it! Nurture yourself by tapping into your right brain and embracing your inner artist. Register here. 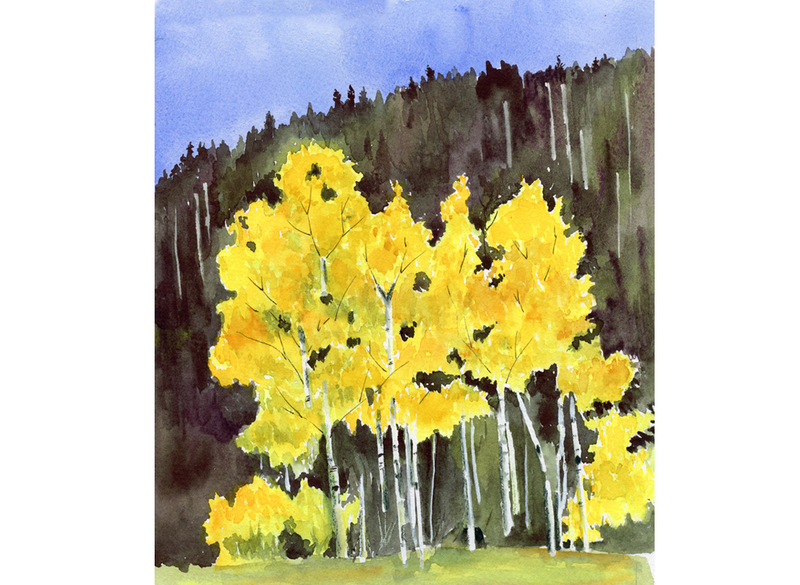 Casual Watercolor: Painting Nature ~ November 13 – December 5, 2017, Mondays 1 p.m – 3:30 p.m.
“Casual” because this 5-week series at Curtis Arts Center is taught at a comfortable level for beginners and intermediates who want plenty of demonstrations and helpful guidance while learning to paint. We’re painting all things NATURE, birds, trees, mountains, skies, meadows, and my favorite subject: FLOWERS! Register here. 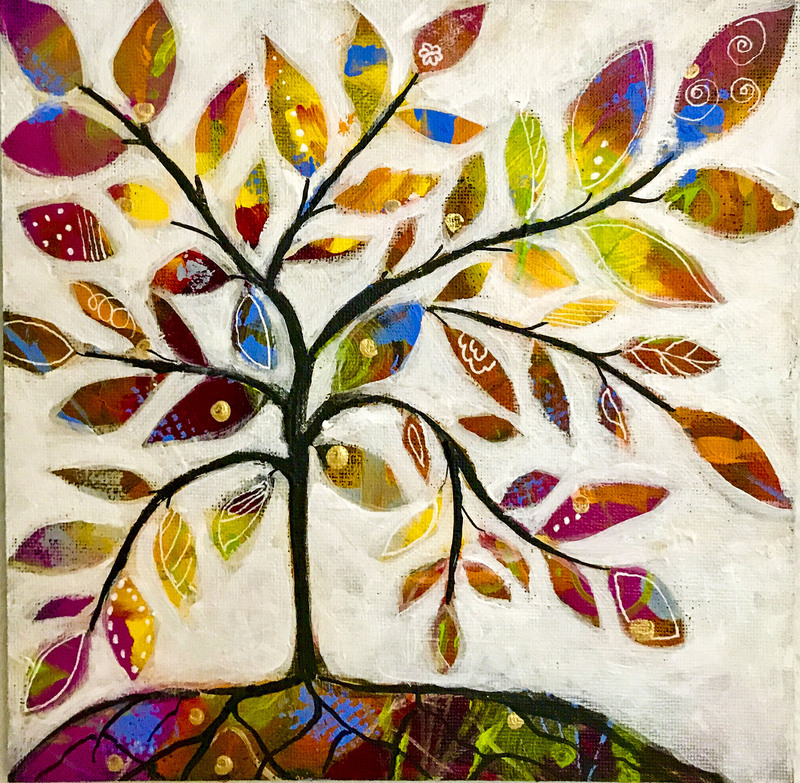 Coffee & Canvas: Glowing Tree ~ November 18, Saturday 10-2:30 p.m.
Is it ok to say how much I love the process of this painting project?!? It’s playful in it’s abstract background full of gorgeous colors of your choosing and markings that are loose and free. And then I’ll demo how all of that background can become radiant leaves on a stylized tree. Coffee, creativity, conversation on a Saturday morning free of chores. Sounds good to me!Join me at Curtis Arts Center for this fun workshop! Only 2 seats left! Register asap here. Thanks again for letting me share art with you ~ I’m so glad it connects us!